Where Are Our Gardeners At? Go Back to the Homepage / Gardening • Irrigation Sprinkler Systems / Where Are Our Gardeners At? It’s a beautiful time of year here in Central Florida. While we have plenty of sprinklers to inventory and landscape lights to count, we do take time to enjoy the outdoors and the near perfect conditions for gardening. We hope you’re taking advantage of this weather because you know as well as we do that it doesn’t stick around for long. 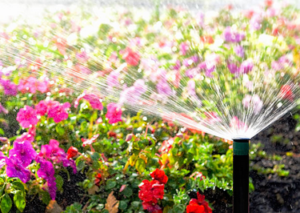 And hey, if you’re out there tooling around the yard and you notice some improvements you could make to your irrigation system, give us a call. As your neighbor in Orlando and the surrounding cities, we’d be happy to patch a system before that summer heat kicks in.